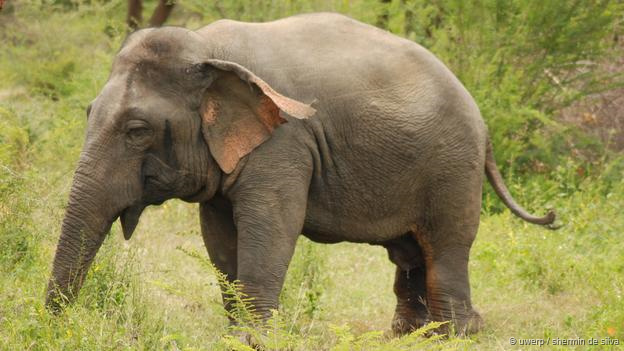 Scientists have spotted and filmed a dwarf male Asian elephant wandering the forests of Sri Lanka. The elephant has a normal-sized head and body, but very short and stubby legs. His condition is most likely caused by a genetic mutation resulting in disproportionately short limbs. 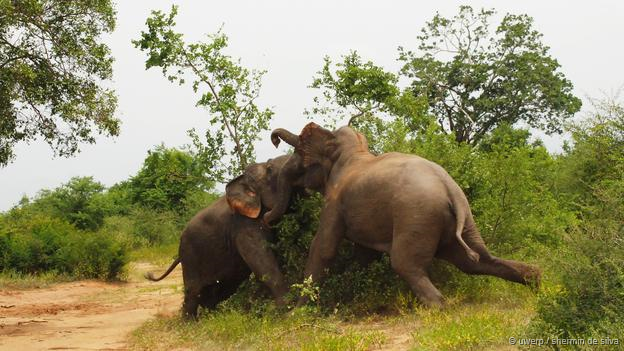 In a series of extraordinary encounters in the Uda Walawe National Park, the elephant, nicknamed the Walawe Dwarf by observers, waged an all-out battle against a full-sized male elephant. What’s more, he appeared to be winning.